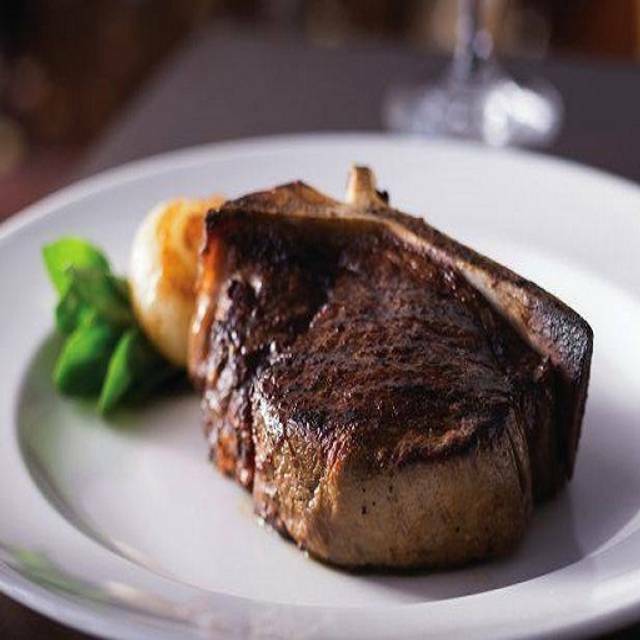 You must make reservations at least 5 minutes in advance of the time at The Capital Grille - St. Louis - Clayton. You are cordially invited to join us for an evening or afternoon of relaxed elegance and exceptional cuisine. 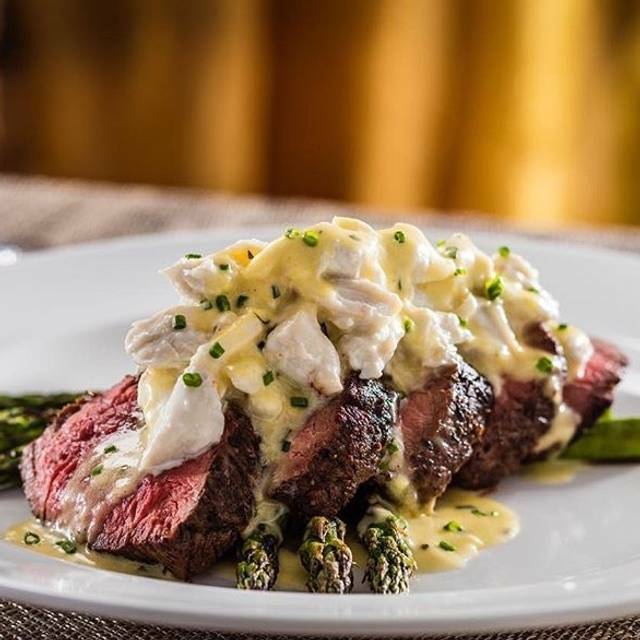 Our impressive menu of nationally renowned dry aged steaks and the freshest of seafood will ignite your culinary imagination as our award-winning wine list of more than 5,000 bottles awakens your inner sommelier. And as our gracious, knowledgeable servers delight you with their uncanny ability to anticipate your every need, you will experience firsthand why the American Culinary Federation recently bestowed upon us their "Achievement of Excellence Award." Whether you're celebrating a special occasion or hosting a business luncheon or dinner, we can help you flawlessly pull off any private dining event. Every Sunday, join us at our table for something truly special. Our in-house Butcher & Baker are preparing an exclusive three-course menu and it would be our pleasure to host your gathering. 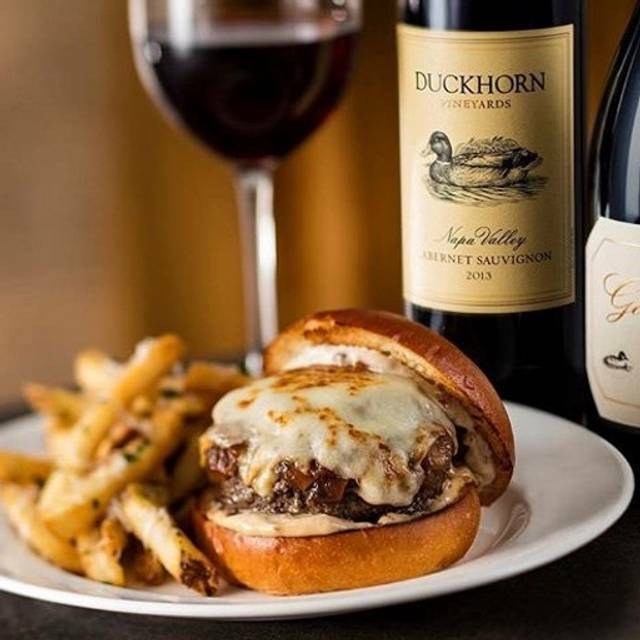 Join us Easter Sunday from 11:00am – 9:00pm, and we will be serving our full menu of contemporary classics and uncorking your desired pairings from our acclaimed wine list. We look forward to welcoming you. I’ve had dinner at this location a few times but tonight was way off and I won’t be back. Hostess and seating was unacceptable after being left in the middle of the dining room. My business colleague was embarrassed and things didn’t start off well. 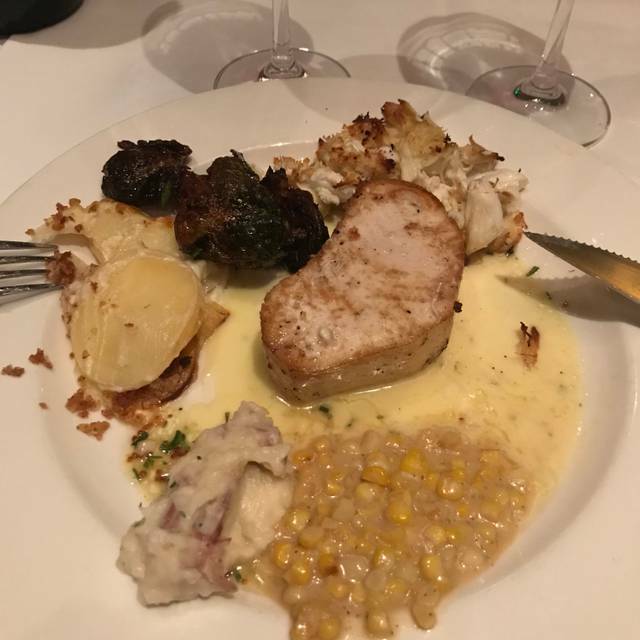 I ordered the shrimp cocktail which was embarrassingly rubbery and tasteless along with a 10oz filet that had to be the worst cut of meat in my 40 years. The wine was good but the food was awful. This location is nothing like the Seattle location which is truly a 5 star establishment. Excellent experience. Mark the waiter was great, food prepared to perfection. No complaints, will be back. This was a wonderful date experience. We thoroughly enjoyed the food and ambiance. The staff was so sweet to give us a card and celebratory dessert to share! 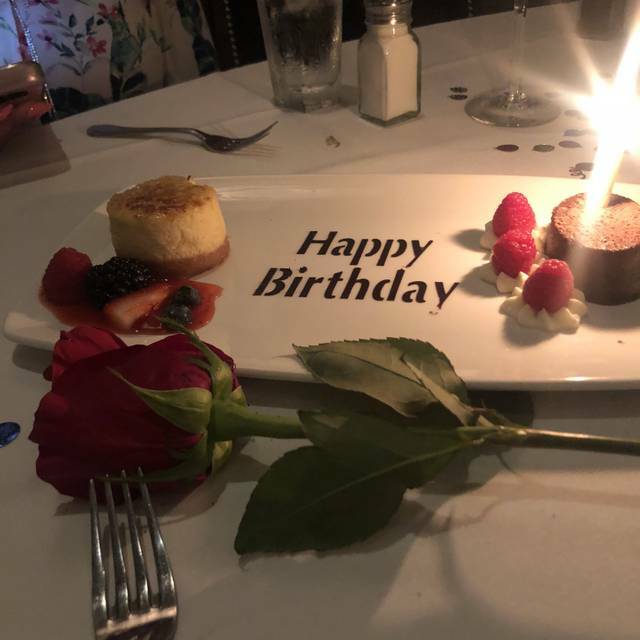 We celebrated our April birthdays at Capital Grill. Mike S was a wonderful server. He had my husbands beer already chilling in a chiller. The table was decorated very pretty. The apps and dessert were a great touch. Can’t wait to dine there again. Absolutely wonderful!!! The food was not as good as it usually is. Celebrated my birthday with friends, the bartender was great to deal with and our waiter was perfect. All of the food was extremely delicious. I would recommend Capital Grille and will be back. My only criticism would be that the service was a bit slow. It took us 2.5 hours to get out of there, with long periods of just waiting. Great food, drink and service! Wonderful birthday celebration! Mike was attentive and made sure we had everything we need. Highly recommend and look forward to going back! Another amazing meal at CG, our server Courtney is the best, request to sit with her. Pricey but excellent food. Good service. So full had to skip dinner. Pretty consistent service/food. The waitress was fabulous. She stopped by our table at just the right times to check on us, to get another drink, remove plates, etc. The salmon, green beans and asparagus were delicious. The room was exquisite as there were just a few tables and the noise level was not not a problem. Had our anniversary dinner there and it couldn’t have gone better. From our greeting and table decorated with a rose and card from the staff. To our server Todd who made great suggestions to the amazing food. 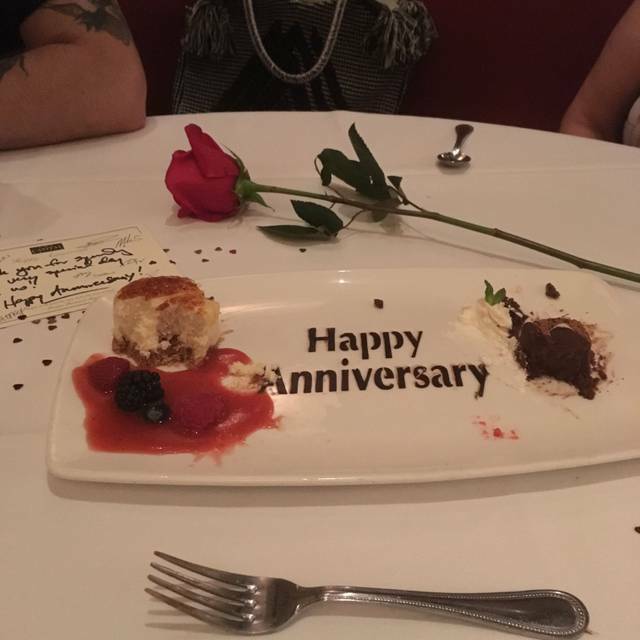 And an anniversary dessert to top it off. 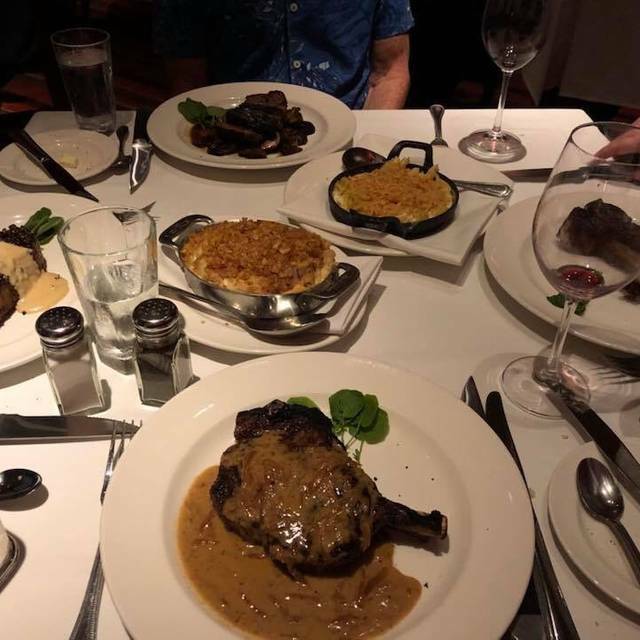 We’ll be back and tell anyone who asks they should pay Cap Grille a visit. We brought guests from Chicago, Kansas City and Boston to dine with us. We all found our meals to be delicious and our serves quite nice. We were 100% wowed from beginning to end! There was confetti & a signed birthday card on our table upon arrival. The service was superb, every detail attended to. Our wine was outstanding. They were flexible with the menu. We both ordered steaks & they were both the best we have ever had! I even added a scallop to my meal. The truffle fries were excellent as well. They brought out a gorgeous dessert on a plate that had “Happy Birthday” written in chocolate on it. All of it was beyond amazing! I’d highly recommend this restaurant. Terrific experience all around, and my wife truly felt special to have her birthday celebrated there. An excellent dinner with wonderful service. Elaine was the perfect server. Look forward to returning. Great steak...perfectly cooked. Amazing sides. Fantastic service. another wonderful evening at capital grill. 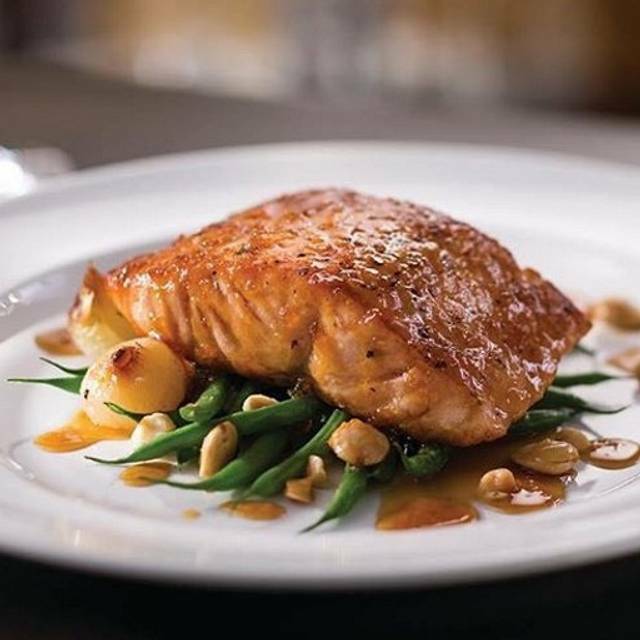 impeccable service, outstanding fare and all-around enjoyable experience. courtney was, as always, spot on with recommendations and timing. The hostess was rude, ignored us, made us wait for ten mins to be seated while she and coworker gossiped- where we could see them talking. Then lied to us saying the wait was bc I submitted a table for 2, even though we could see on her sheet it said table for 4. Asked to speak to manager - he arrived when our business meeting guests arrived and was dismissive, arrogant and embarrassed us in front of clients. Waitress was very loud and extremely rushed and frazzled even though not many people were in the rest., never checked on how our food was, if we needed another bottle of wine (which we did). Had to flag down help for water glass refills. Food was great but bc of the extremely poor customer service and focus we will never go back. Our check was for over $600; unacceptable service experience for the amount of money we spent. A bit pricey but the food was delicious and the service was amazing. Worth every penny. We were celebrating a birthday and the table was tastefully decorated when we arrived. Since we weren’t drinking, I’d provided a bottle ahead of time for toasting. It was waiting for us, on ice, table-side. Our server, Jason, made our experience unforgettable. He was very attentive without being intrusive. Also really patient, offering great suggestions for the meal. There were nice touches such as switching our white napkins to dark ones automatically, so as to avoid lint on our dark clothes. It was a great evening for our party of two. Strak was overcooed burnt and tough. We had delicious oysters on the half shell followed by a beet salad. Wow! Our sea bass entree was perfect with the addition of the sautéed spinach . For dessert we had a rum infused caramel coconut cream cake. All wonderful Our waitress Courtney was a delight! I highly recommend this place. And they have an extensive wine selection! Pricey but worth the splurge! I have given several weeks to write this review. I received an email from the owner to fill out survey, which stated at the bottom that each one is read. I filled one out but have yet to hear back and thus the review. several weeks ago, I had a business dinner with one other person and during dinner, a bottle of wine was ordered. Not even a third into my glass of wine, the server accidentally spilled the wine all over me and my coat. He was very apologetic and helped me clean off my sweater and coat and then the table. Once everything was cleaned up, I told the server, no problem, accidents happen. Needless to say, my sweater and coat were wine stained. He did offer some cleaning wipes and offered apologies again. However, close to a full glass of wine was spilled and no offers to replace the glass of wine was made. Given the level of quality of this type of restaurant, I would suspect that the glass would be replaced, in the minimum, and the manager to at least drop by to check in, both of which were not offered. I did not mention anything during dinner, wondering if something would be taken off the final bill, which it was not. Nor did I make a big stink of things because it was a business dinner. So, in the end, I was left covered in wine during a business dinner, minus one glass of wine and a dry cleaning bill for a sweater and coat, all without a manager dropping by to see if everything was ok.
like I said, I filled out a survey that the owner emailed to me without any response for over 3 weeks. 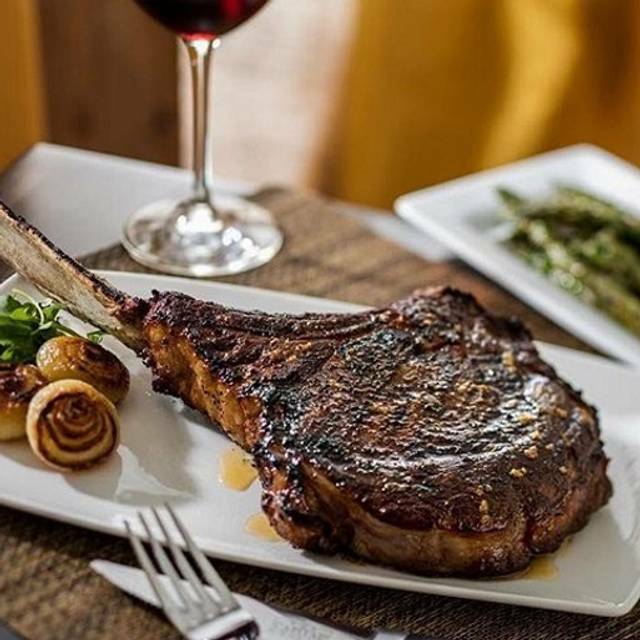 I’ve been to Capital Grill on several occasions. The food is consistently good. Unfortunately, the kitchen is consistently slow. Service on this occasion lacked attention to detail and the server seemed to have been trained well in food selection steerage. In addition, the final bill had to have items removed that we did not order, but were charged for. It might be awhile before we select to dine at this steakhouse again. Elaine was extraordinary, attentive, quick and a very nice person. On this visit it was not the typical excellent service we have become accustomed to, but the food and wine were fabulous. Food was good. Server was ok my boyfriend didn’t want a large meal so when he asked the server for different salads she assumed we were looking for lower price items by pointing out the cheaper things in the menu. Which kinda upset him a little, she also wasn’t really knowledgeable we with us basically just told us to read the menu. Overall the food was good, just wish we had a different server. Would recommend with the reservation that the meat of 2 diners was not what was ordered. A well done order was red in the center and a medium rare lamb order was red/purple throughout.